On a fairly regular basis, when we come to the end of an initial website analysis with a prospective new client, after reviewing the opportunities for their business in SEO, where they need to modify or enhance their existing website or marketing strategy, and what tools they can potentially use to help reach their goals, we are asked the question, “Where do we start?” It’s a valid question, and one that is certainly up for debate amongst webmasters and the SEO community at large. After talking with our friends at Caledon Virtual recently about this very subject, we thought it might be worth doing a post on the subject. The vast majority of organic search traffic in Google Analytics will show up with the keyword data as “not provided”. What is main service offering or product? What are the primary service pages or product categories on your website? Search Volume: Use the Google Keyword Planner, and set the geographic areas to be your immediate city, and perhaps do a 2nd run using a wider area that you also serve partially (in this case Chicago, then all of Illinois). These total represent the estimated number of searches in Google in an average month for the exact keyword (and only that keyword – no alternate spellings or variants) in that row within the geographic area we specified. Competition: We like to put quotes around a term (i.e. “family dentist”) and then search it in Google, and then record the number of results in Google’s index. This tells us how many pages are out there that use this exact phrase somewhere within the content, head section or elsewhere. Note that this is a tool that gives relative data. For example, in Chicago alone, you’re not really competing with 129 million other web pages for the word dentist. However, it’s enlightening to know that “family dentist” and “local dentist” appear to be much less competitive. Although it’s less search traffic, a site that has no existing page one presence for non-branded keywords would be wise to take this data and conclude that branding themselves on their page as a “local” or “family” dentist (as appropriate) will give them a much better chance at some 1st page rankings in the near future. Ranks: Pretty straight forward, but this is an indicator of where your website ranks at the current time in Google and Bing respectively for each term in your local area (in this case, from a Chicago IP address). Here is where it can be enlightening to observe how Bing may be favoring a page much more than Google, or how there may be a certain variant of a term for which your site has much stronger existing traction. These insights can help you guide your best course of action going forward. Lots of tools can assist with rank tracking. 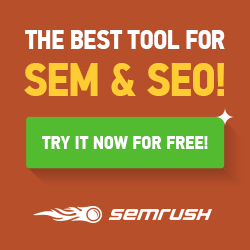 One we like is SEMrush. How can I utilize an important keyword variation in my page title in a natural way? Am I using heading tags in my content, and can I sensibly incorporate one of my keyword phrases (or a close variant) in that text? Does my main content include my target keywords, and if so can I re-write my text to use keyword phrases on a couple of occasions, and/or can I use synonyms and related terms in a natural way that provides user benefit but also helps establish the theme of my page? Do my images include alt text, and can I accurately and succinctly describe any of my images in a way that also incorporates one of my keywords or keyword variants? Once you can start answering these questions, and doing so with a foundation of specific keyword-based goals in mind for each page, you’ll find a lot more success with your SEO strategy. As you begin to gain traction in the rankings of Google and Bing. You can use Google Webmaster Tools and Bing Webmaster Tools to monitor impressions and click data for various keyword phrases and observe through Google Analytics how traffic volume from organic search is affected at the landing page level.